President Donald Trump attacked New York Times reporter Maggie Haberman as a "flunky" of Hillary Clinton in a tweet on Sunday, claiming she knows nothing about him and "is not given access." Haberman and Michael Schmidt wrote a piece Saturday reporting Trump has considered adding Emmet Flood, a veteran attorney who represented Bill Clinton during his impeachment process, to his legal team handling the special counsel's Russia investigation. "The Failing New York Times purposely wrote a false story stating that I am unhappy with my legal team on the Russia case and am going to add another lawyer to help out," he wrote. "Wrong. I am VERY happy with my lawyers, John Dowd, Ty Cobb and Jay Sekulow. They are doing a great job and have shown conclusively that there was no Collusion with Russia..just excuse for losing. The only Collusion was that done by the DNC, the Democrats and Crooked Hillary. 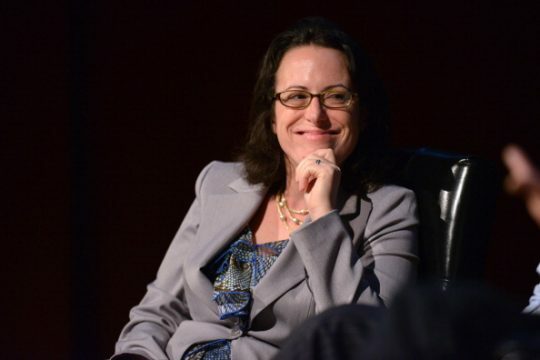 The writer of the story, Maggie Haberman, a Hillary flunky, knows nothing about me and is not given access." Haberman, who has been granted several Oval Office interviews with Trump and has known him since her work at the New York Post, responded "Lol" in a tweet of her own. Haberman has said that Trump "craves" the approval of the New York Times, which he also attacks consistently as a "failing" newspaper. "He wouldn’t talk to me as much as he does if I wasn’t at the Times," Haberman said on a podcast last year. "That’s just the reality. He craves the paper’s approval." This entry was posted in Politics and tagged Donald Trump, Media, New York Times. Bookmark the permalink.